Since I started to boycott products made in China, my shopping habits have been severely curtailed. I loathe high streets and shopping malls with a passion. The appearance of the same shops all over the world makes one city look just like the next. It is getting harder and harder to find locally made goods. I lucked out in Serbia last week in both finding a local designer (dress) and a local milliner (hat), neither of which could be termed as an extravagance considering designer prices in other parts of the world. 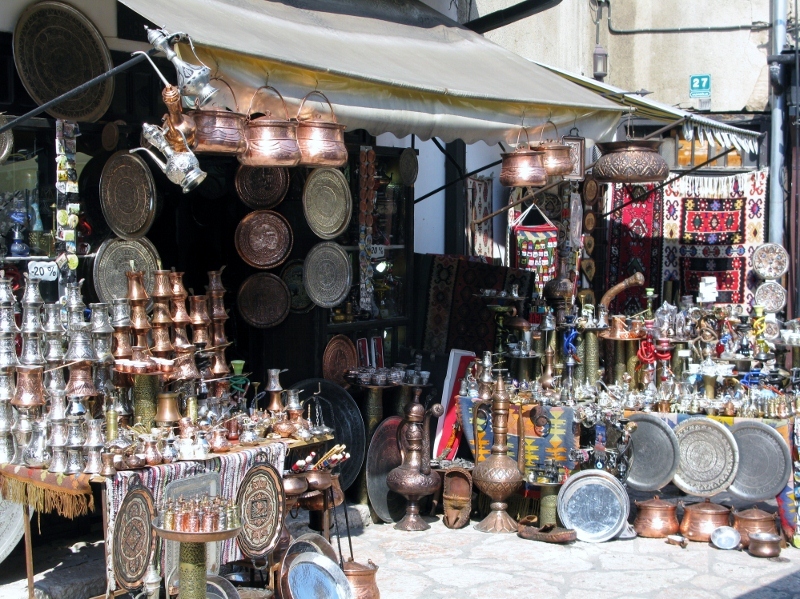 So a Sunday afternoon in Sarajevo wandering through the cobblestoned market streets was a joy in itself. 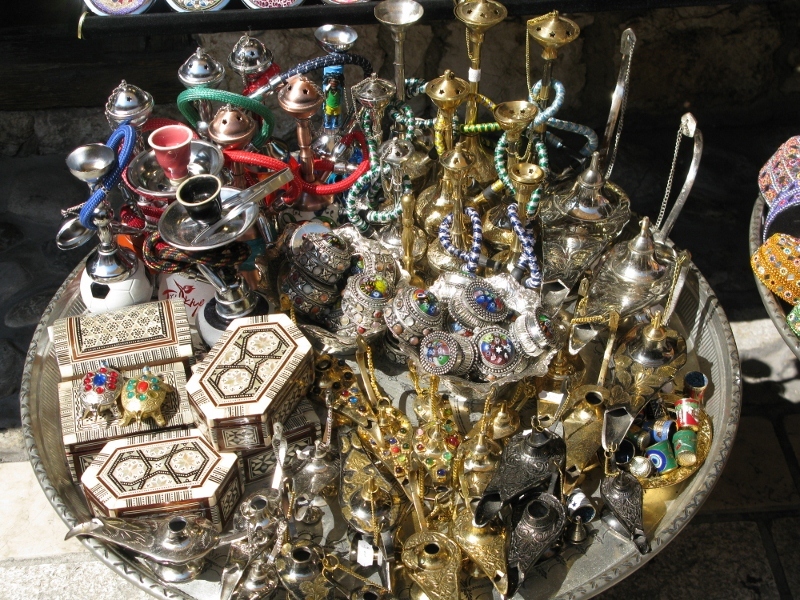 The afternoon sun transformed the stalls into shining grottoes of gold and silver. 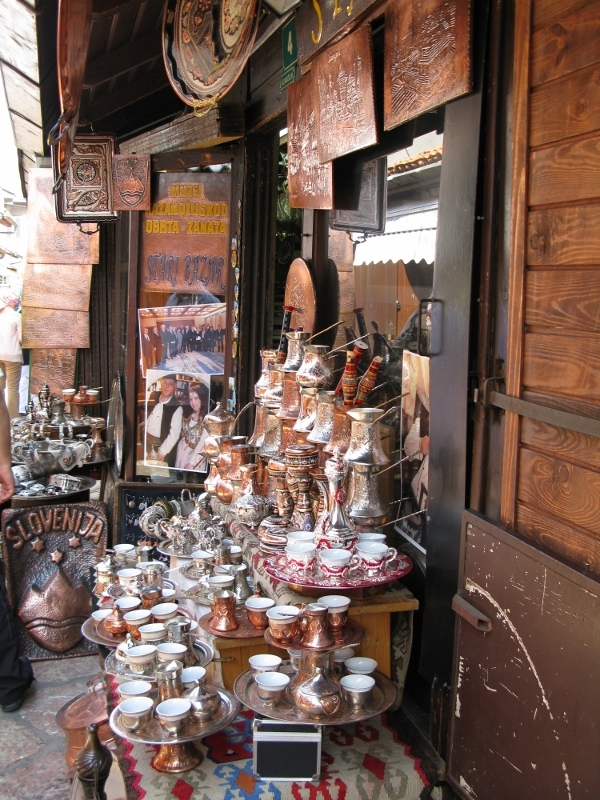 Tin, copper, metals of all kinds had been fashioned into trinkets and utensils. Craftsmen worked in their stalls, oblivious to passers-by. The smells of Turkish coffee and kebabs hung heavily in the air. It was all so very foreign. So very local. Not an H&M or a Zara in sight. 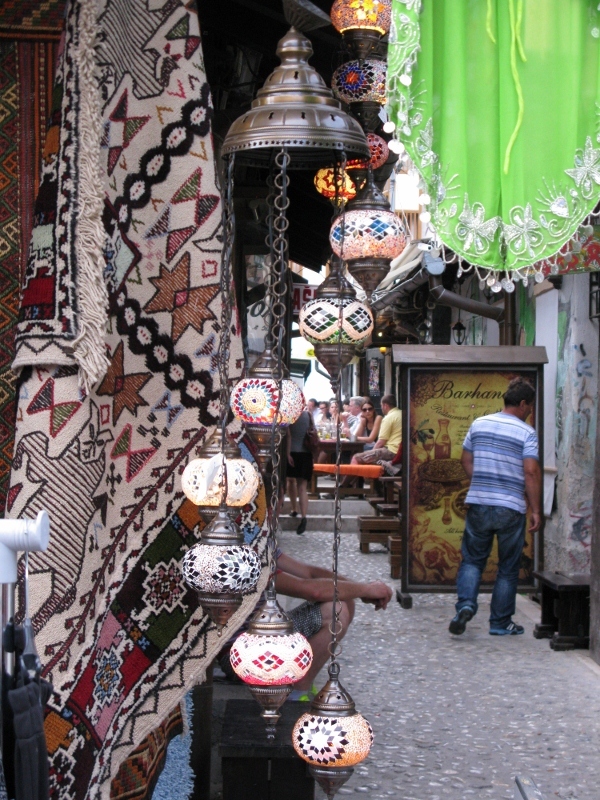 The plastic sunglasses and the Turkish tat were housed up the road in the covered market – but this place, this open air heaven was for artisans. 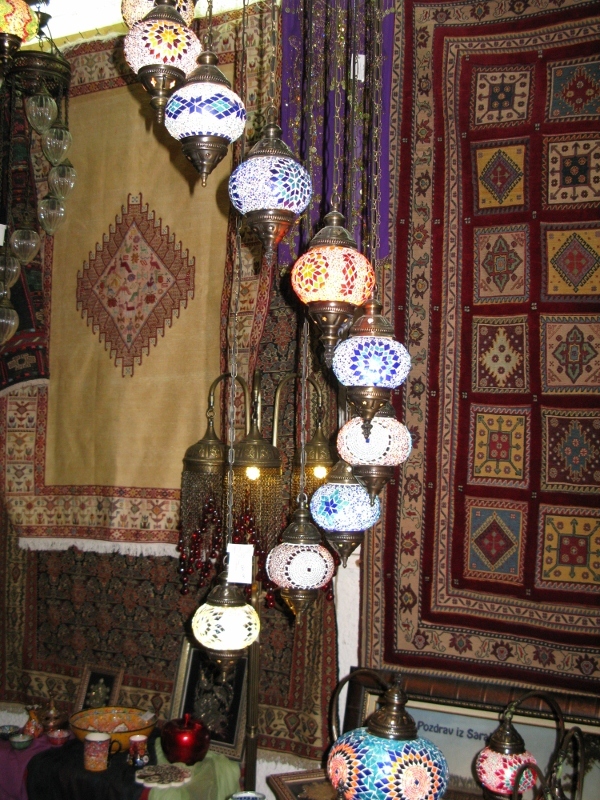 I felt brief stirrings of a move – a quick flash of wonder at what it would be like to buy and furnish a flat in Sarajevo. What a challenge it would be. I found myself mentally discarding colours that wouldn’t fit and gradually piecing it all together. Perhaps if Mr Orban shows me my exit papers, I will head to the Balkans – to Bosnia – to Sarajevo. You make it sound really something.